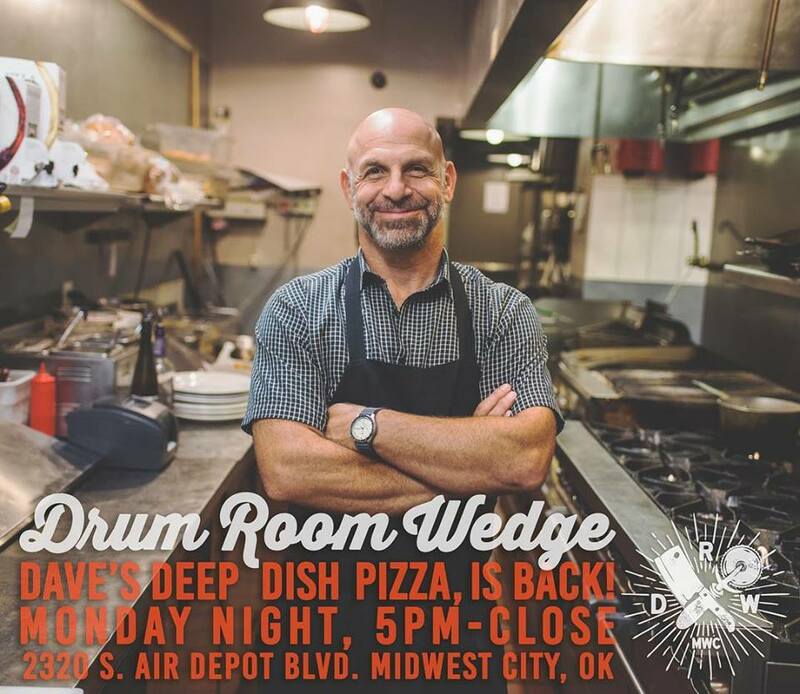 Dave’s Deep Dish Pizza Night Exclusively at Drum Room Wedge MWC! Every Monday enjoy made from scratch deep dish Chicago-style pizza pies made exclusively by the owner, Dave Attalla, himself! 5PM-close. $2 pbr and 1/2 price famous wingz & Drum stix at our full service bar!